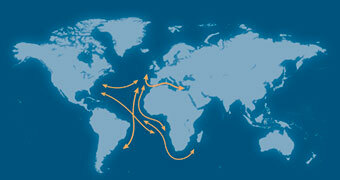 Ship vehicles, containers and more – directly to 18 ports in West Africa. Ship vehicles, containers and more – directly to 6 ports in South America. 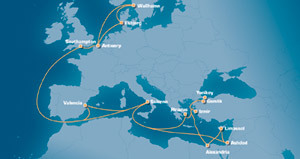 Ship vehicles, containers and more – directly to 28 ports in Europe/Med. Ship vehicles, containers and more – directly to 18 ports around the world. 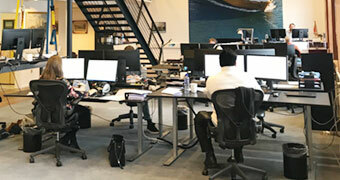 Niels Winther Liner Agencies is a leading provider of integrated shipping solutions. We offer professional shipping of cars and other types of cargo – from the Port of Esbjerg in Denmark to destinations around the world. With decades of experience, we are ready to handle all types of vehicles (cars, trucks, caravans, motorcycles, buses and boats), as well as containers and breakbulk cargo (such as production equipment, heavy machinery, wind turbines and the like). In partnership with one of the world’s largest privately owned shipping companies, Grimaldi Group, we offer direct weekly shipping services from the Port of Esbjerg to 52 ports across West Africa, South America and Europe. To get a price for your shipment, please choose a destination: West Africa, South America or Europe. In addition to our port-to-port shipping service from Denmark to West Africa, South America and Europe, we also carry cargo to destinations in the Middle East, East Africa, North America and Mexico, including cross trade. Our specialist staff will organise and monitor the transport of your cars and other cargo from start to finish. As your single-point-of-contact, we make sure that your cargo arrives safely at its end destination. 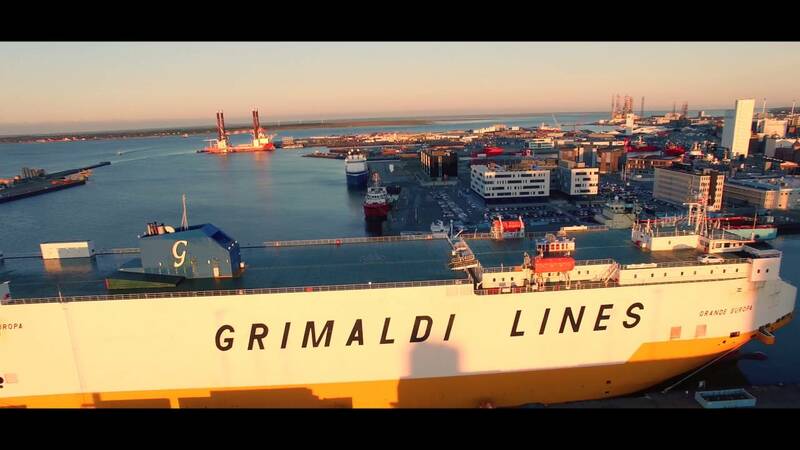 We also represent Grimaldi Group in Norway and offer a fixed-day shipping service between Esbjerg and nine ports on the West Coast of Norway. 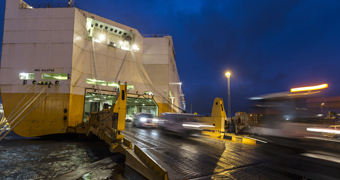 Ship vehicles, containers and breakbulk cargo from Norway to Esbjerg – from where we offer direct connections to ports in West Africa, South America, Europe and the Mediterranean.